! - İzdihër - ! : Craze of being " fair " in South Asia. And their pathetic ads. Craze of being " fair " in South Asia. And their pathetic ads. Accept it or not, there is this mentally " fair means beautiful/ lovely " in our culture. And this is from so long. Every mother tells his son ""I will bring a gori cheti dulhan ( the fairest bride) for you, beta, just like her ! No pun indented here*. Our boys are obedient. How could they say no to their Ammis, could they? Actually they can't say No to a gori chti dulhan. Fair doesn't mean white, milky like the way the westerns/ Caucasians are. Fair here means some one like Katrina, Kareena Kappor type, fair gals. So for being fair we gals do bleach, go for whiting creams and whiting facials. Please, please gals don't bleach your whole face. I have burned my forehead once. Thanks heaven it was not that severe. I was just 15 but anyway I got my lesson. We all learn form our mistakes, don't we ? FYI, this product is only to lighten side burns or lady mustaches, not to become white in 15 minutes, but still don't do it at first place. Go for threading or waxing if they are so visible, but still if you feel threading or waxing grows out more dark hairs on face (another problem) then go for it but only, only for side burns and mustaches, not the whole face. Have you ever seen a cloth with bleach spot on it ? Look at it carefully. It will fad color. Same we do with our skin when we use them, gradually fads original color. Takes away all the shine from skin. There was also formula creams when I was in collage. Some gals used them, and it worked. I dunno if it is still there. Dermatologist were also involve in making them.There was also rumor that these FC would cause cancer later. With the passage of time this trend is becoming an obsession. Every other normal cleaner, toning, lotion, moisture, mask, soap is turning into whitening cleanser, whitening lotions, whitening moisturizer , whitening facial cleanser, and whitening foundation. Ponds, Oly, L’oreal, Garnier's new skin range products are" All White. " These products have phenomenal sales in this region because they know we are fool for fair skin and that is why faring products sell here. 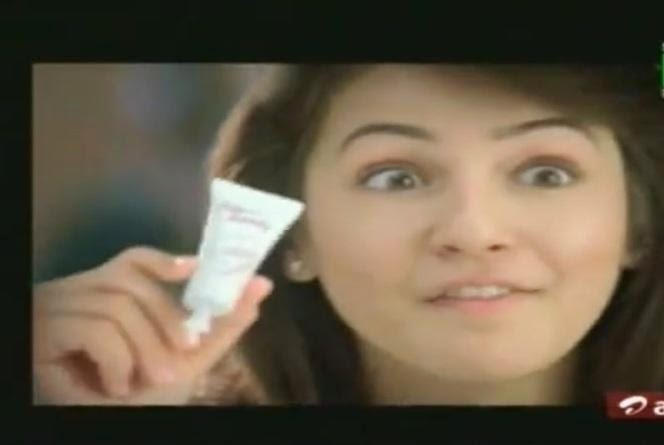 The fairness cream and bleach adds will mock you to death. They make you believe that all the confidence a girl can have, success not be going to school, getting education, degree, acquiring any skill, or doing hard work, but only by using these products. In these add she gets marriage proposal, jobs...sky is the limit and all that just by using them. She is happy, her family, friends are happy with her, because she is fair. They will make you believe all the rejection and failure is just because of your dark skin. You are less attractive and less desirable with your dark complexions. She doesn't smile before, but after using them there is big fat smile on her face. And then emotions..desi emotion..My God. Almost every Ad is insulting and disgusting but better check this advertisement which is beyond insulting. How desperate and sad she was in the beginning, The crying, the rejection and then BOOM..." Fair and Lovely," she became an air hostess. Second most disgusting and insulting ad. The guy tore up the pic because she was dark, and when she became fair, he gave her flowers. She accepted. She accepted? How could some one be that desperate? If someone do that to me, I will chop his balls. The user of these creams really have no idea how these products are wasting their time, money and making them fool. How these adds are putting down people of dark complexions in our region where 70% are born tad dark, and can't help it. It is a fact from God. And how long will you use them? What about legs and arms.They are still kaali. First their victims were gals. Now they are targeting men as well. 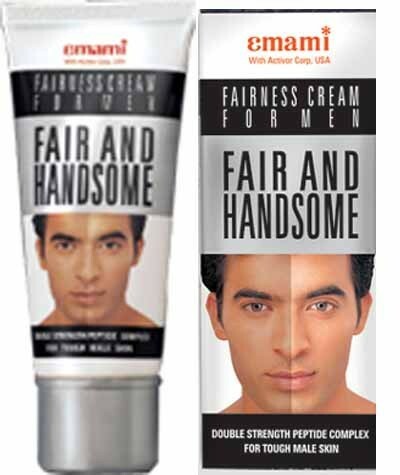 Oh Guys, are you too gonna have Fair and Handsome cream in your pocket, like almost every gal have fair and lovely in her purse ? Lets see how much this male fairness will catch on. I love your style!You've the courage to throw all burden outside!Love the way you insult things:p...(honestly.U know sidha mu pe marna:p..yeah,talking about that style:p)....Keep it up!! @ post:Why girls don't understand that they look best in their natural color.Well,if i talk about our society,then i must confess that fault is of our media and those stereo-typed notions that have rooted in the brain of boys and their mothers.Aptly said, chiti gori dulhan!It flatters the mind of a boy:p...Literally,i've seen ads that glamorize a girl and her complexion and those who are somewhat dark in complexion sighs! If i talk about myself,then i think Asian complexion are best in the world as they're moderate.Neither much black nor white.So yeah girls,cheers! That is why many hate me......Sidha mua pey marna. Over here in the US everyone tries to tan and be darker. There are tanning booths and tanning oils and even tanning booths. It doesn't matter that the doctors tell you it is a health risk and leads to skin cancer. It is an obsession with many to get a tan. There are even tanning sprays where people are actually sprayed with a color to make your darker. Yes, I agree with Dad and Mom's comment. Much, much money is spent here with people setting themselves up for potential skin cancer or a weird, orange color to the skin by trying to make themselves darker. SMH. We should all be happy with how God made us. P.S.- You are very funny, my friend- where you describe what you'll do if someone does that to you! I read your whole article Izdiher and well done to you for stating this issue clear, since it can damage the skin. There is no point to try to change your skin colour because it can never be changed unless becoming Michael Jackson. Peolpe should embrace their natural beauty, it's nice that there are different skin tones because there are different beautiful people. Noone should feel ashamed for their skin colour. People should never use these creams since they can harm the skin so much. As someone above said some western people overdo it with tanning, here in UK so many girls have that fake tan and look awful. I always find so many interesting posts in your blog! i think you have finally upset me, that people do not like who they were born as and try to change the color of their skin! It is what is inside that is important, i really do not understand, but then i see it everywhere. I guess i could put the tanning that goes on in the summer at the beach here in the same category. I know that in the winter i am very white, but naturally become darker in the summer (Lots of Greek in me). The discrimination (or the presented discrimination in the ad) is also upsetting. I guess people are never satisfied with who they are....sigh. well we also have such trend here ever since then! I have the same opinion as you have! I don´t understand this at all, why would you want to make youself whiter? You are supposed to be as you are and you are beautiful as you are and that´s what we European women think about you. Wonderful orientalic women! Hmm and the irony is western people pay hundreds of dollars and spend hours on beach to get the complexion we naturally have. Yeah, it's called Sad But True. Nobody seems to be satisfied with what they really are..
You think this is bad? You think this is bad? Go and take a look at some of the surgeries that Koreans get done to themselves. Or maybe the real-life Japanese dolls. That, is bad. What a great post. It is absolutely disgusting how advertisers try to make us feel like lesser beings unless we use their products and as you so correctly say most of them are not even good for us. Well, this is a serious topic. I myself wants to look good as well. But you are right, emphasizing ones glitch just to sell products is wicked. But, that how commercials work. It's hard to live in a judgmental world. I guess we'll have just to deal with it. They try, every now and again, in England to sell facial products to men, but it never really catches on, just aftershave works. But the ads aimed at women...are one thousand times more pressurised. Best thing anyone can do is turn the channel on adverts, and get Firefox ad blocker for your computer, but of course then their is social pressure. Those ads were shocking i even posted one to my Facebook. I had read things about this trend before, i know in Japan and China the women have plastic surgery because they believe following trends will get them jobs and husbands. When I was young I succumbed to the prevailing styles of the times. Now, as more than half my life is "OLD"... that stuff to me is nonsense ("BS" in Urdu)...SO unimportant. Color of skin has nothing, absolutely NOTHING to do with "color of soul". Sometimes, yesss, the eyes tell stories. But even THEY lie to us on occasion. GOOD style, good writing Izdiher "Light Brown" girl--grin! I have always hated this obsession with gori bahu. Sad to say I am of Olive color but here, it isnt appreciated much. Honestly, I love this skintone. All these 'so called beautiful' Kareena, Katrina, Sashay Agha (she looks like a human version of a pig-face, horrible) will be shunned hadn't they been fair. It's disgusting that companies feed and encourage this unhealthy trend. People with crappiest features get Jobs, and are preferred because they are fair. Utterly Weird.